Which Are the Best Photography Podcasts? Photography Podcasts: Which Are the Best? 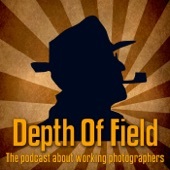 For photographers from amateurs to professionals, photography podcasts are an oft unexplored. This is a shame, however, because photography podcasts are a great way for any photography enthusiast to stay dialed into photography trends, news, and gear. Below is a list of what I think are the five best photography podcasts around and why. This Week in Photography – this is a weekly podcast run by Fredrick Van Johnson. It is in the format of a roundtable discussion with other photography professionals who discuss the latest in trends, techniques, and equipment. Listeners are able to send in questions to be discussed on the show. Each podcast lasts around 90 minutes. This is an excellent way to hear what the pros are doing right now and to get some recommendations on what gear to buy. Lenswork by Brooks Jensen – This podcast is more abstract, with the author’s views on photography and the creativity behind it. It is an extension of the magazine of the same name. This podcast is a great source of inspiration for me and helps me to stay motivated to find something innovative and new in my work. I highly recommend it for anyone who is struggling with their creativity. The podcast is usually run every few days and lasts 2 -7 minutes, a great little boost when you need it. 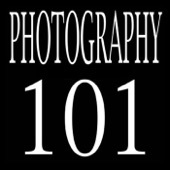 Photography 101 with Scott Wittenburg – This podcast is an excellent choice for those just breaking into photography as it addresses some of the fundamental knowledge one must have to be successful. I also listen to this at times, when I need to “get back to basics”. It is an excellent resource for someone who can’t afford to take a class but wants to know what exactly to do with that new shiny SLR they got for Christmas. The podcast lasts about a half hour once monthly. The Candid Frame with Ibarionex R. Perello – This is a unique show that you will see on most photographers top ten lists. It talks more about photography as an art form and the process each photographer goes through to create their art. Each interviewee speaks about their techniques and approach and also recommends a photographer they admire. The podcast updates biweekly and is an hour or less in length. These are some of my favorite photography podcasts, however, there are so much more out there. I recommend giving many of them a try and finding which ones you learn the most from. In this age, there are so many resources available to aspiring photographers, we must use everyone at our disposal!